As I ran, I struggled to imagine. What did Meg hear? Did she see Scott leaning over letting her know how much he loved her? Did Meg try to let Scott know the same? The disillusionment and cries of despair from their three children, Gabriel, Whitfield, and Skye. It was if I could hear their cries in the distance. The anguish, someone you love not there anymore. The scene went through my mind as I ran where Scott and Meg Menzies journey began at the intersection of Hickory Hill and Patrick Henry Road in Hanover, Virginia. It was on the same day Scott was defining the true meaning of love and 1 Corinthians 13 by running the 2014 Boston Marathon for Meg. A mile in, I stopped with the sun setting over a scenic Hanover farm field as I could not continue. Had to let it out, guess why God gave us tear ducts. It was akin to a punch in the gut and not having any air, openly wept while hunched over with hands on my knees. This happened a few times during the first couple miles. Then, as we all have since that January day and as Scott did running #bostonstrong for #megsmiles, lifted On an Angel’s Wings. Now that I think about it, how appropriate it is for last blog post in January on that event to be next to this one; as Meg and Scott should be. From what I have experienced and witnessed, grief has no rules or timeline. I live near the intersection where this journey started and as I ran there last week, much unfolded in my mind. Scott was running with Meg that January morning to spend time together as a running date while Meg was training for the Boston marathon with an eye on a spot on the U.S. Olympic Team. They were 1-2 with Scott running ahead against traffic. Suddenly a large SUV appears out of nowhere and allegedly drunk driver not in control veers off the road rounding that curve. Scott was able to get out of the way in time, Meg was not. After looking at that curve, I started my run. We all will share and experience grief at some point in life, through those difficulties we realize we are human and it creates a universal bond. That universal bond has been one extraordinary Facebook group, Meg’s Miles. It certainly transcends running and Meg’s friend, Brooke Roney, started the page as a virtual event where people could post thoughts and photos of their runs in support of Meg’s family on the Saturday after she was killed. As we huddled the morning before we ran to honor Meg and her family on January 18th, 2014, one of Meg’s good friends from her church spoke to us. With tears in her eyes she conveyed what a great athlete she was and how strong her faith in Christ carried her each day. We prayed and then ran. Have not run five miles continuously in a long time, and without headphones enjoyed the quiet thoughts as I felt sweat, the pain, the wind, and the cold. Was grateful for it all. That event had more than 99,000 people across several continents running that day, it has since expanded and has more than 16,000 members. Reading and absorbing Keith Cartwright’s heartwarming discussions and insights with Scott before and after the Boston Marathon has brought to life the power of a story and that bond. From every wound a scar, from every scar a story. As writer Jeff Goins has said about stories, they sure can be powerful. Why? A story is where we came from and where we’re going. A story is what connects us and binds us to each other. It is in the story of God and mankind — amongst love and fear and failure — that we make meaning of our lives. A story is what defines us and sets us apart. It’s what allows us to connect with each another — to truly know and be known. Nothing is so warm and inviting, yet so challenging and poignant, as a powerful story, told well. They are written to be shared not only for our own sake, for the benefit of others. Stories change people. 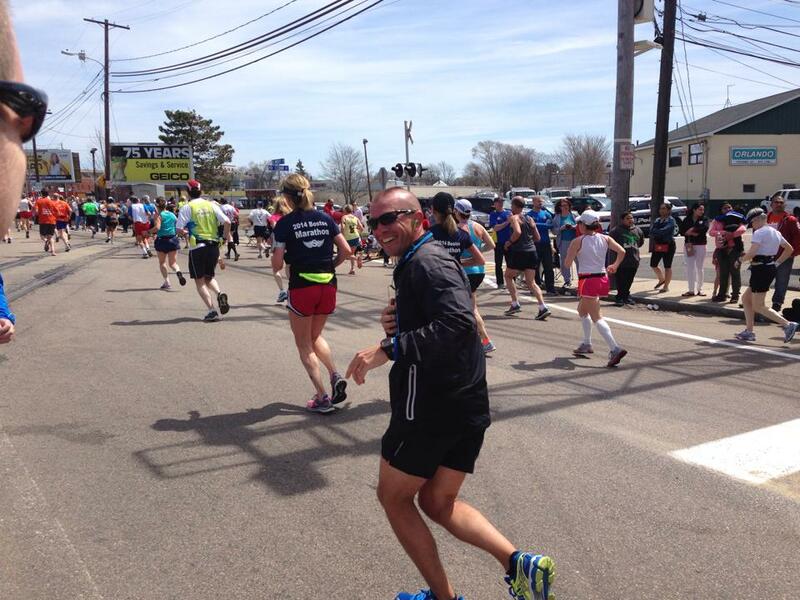 On April 21st, 2014 Scott Menzies ran the Boston Marathon in his wife’s stead. 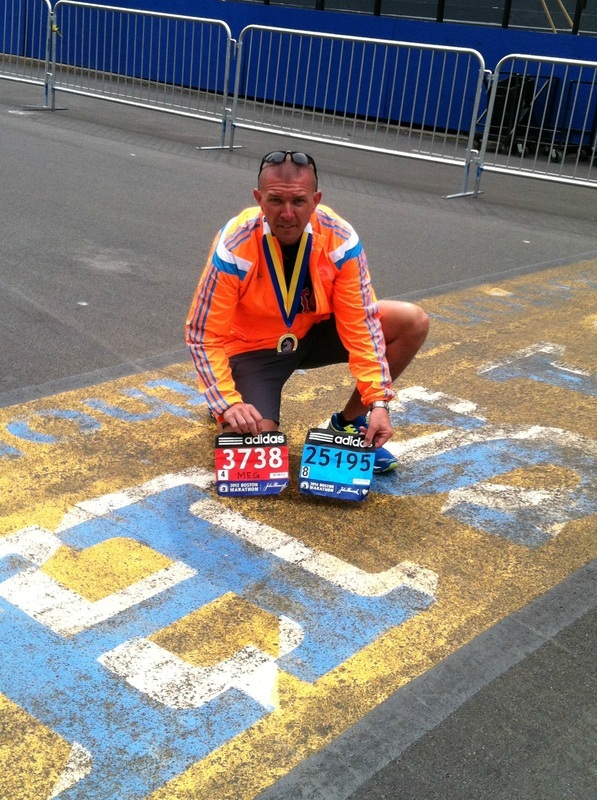 Let me say that again, a little over three months after being by his wife’s side during a run and having to say a gut wrenching, heartbreaking goodbye he never imaged, Scott Menzies ran the Boston Marathon. A run to honor and to cherish. With Meg’s bib numbers from 2014 on his front and 2012 on his back he not only ran it, he crushed it. 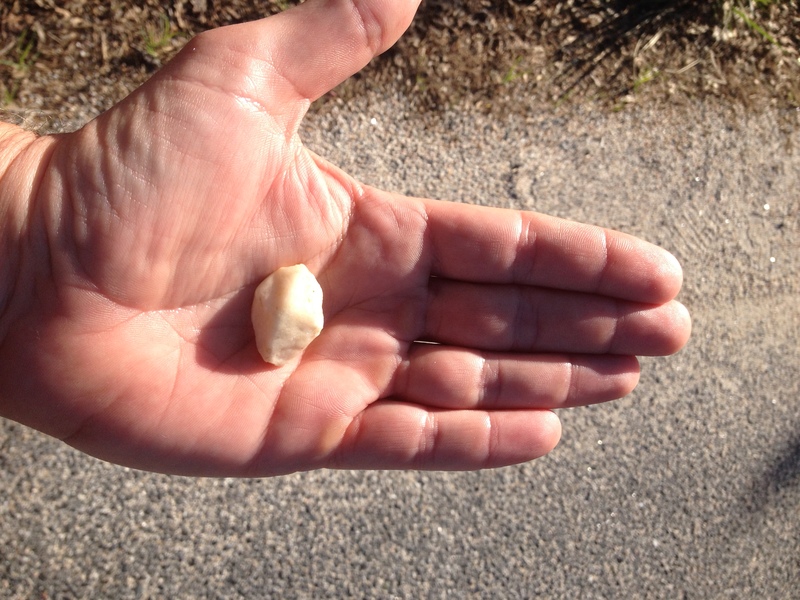 When I stopped during that run on Hickory Hill and thought about the strength that it took, Herculean comes to mind. Would could blame him if having said goodbye to Meg while running that he would do the same? 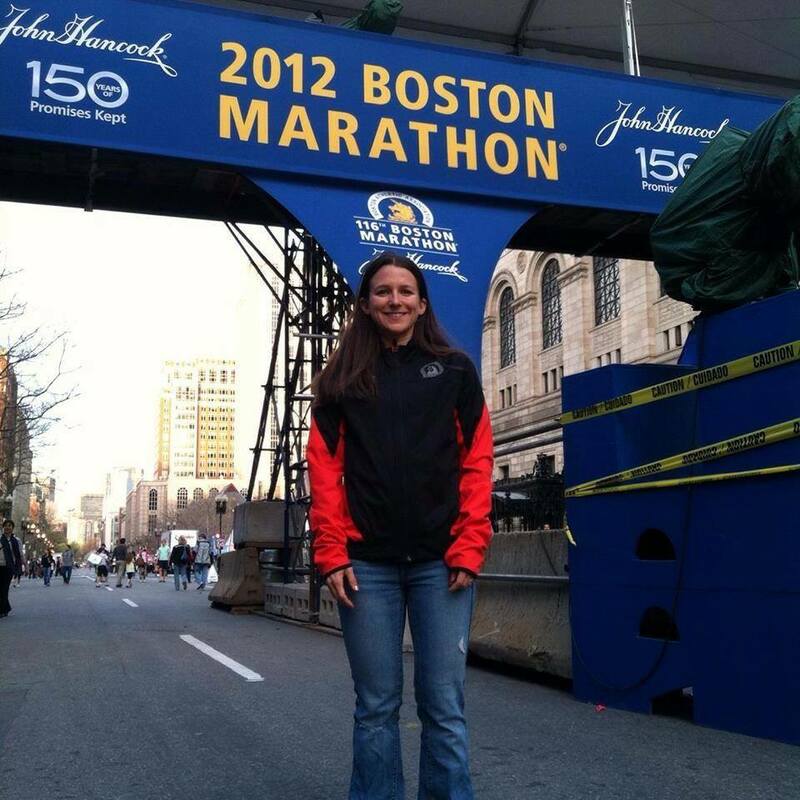 Kel Kelly lives near the first mile of the Boston Marathon route in Hopkinton, Massachusetts and learned about the story. 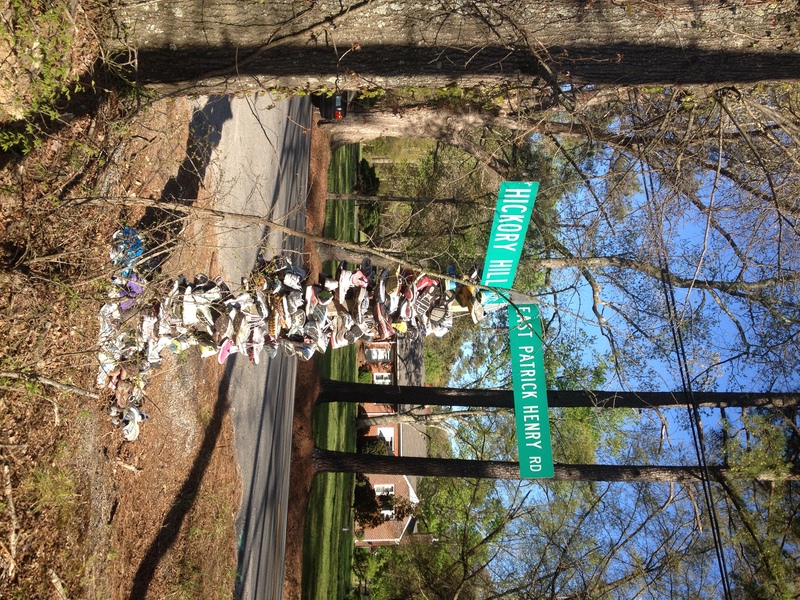 Faith in action; she decided to create a shoe memorial to make Meg Cross Menzies’ presence felt on Marathon Monday. The Soles of Love reassured Scott of Meg’s presence during what was going to be an emotional run. 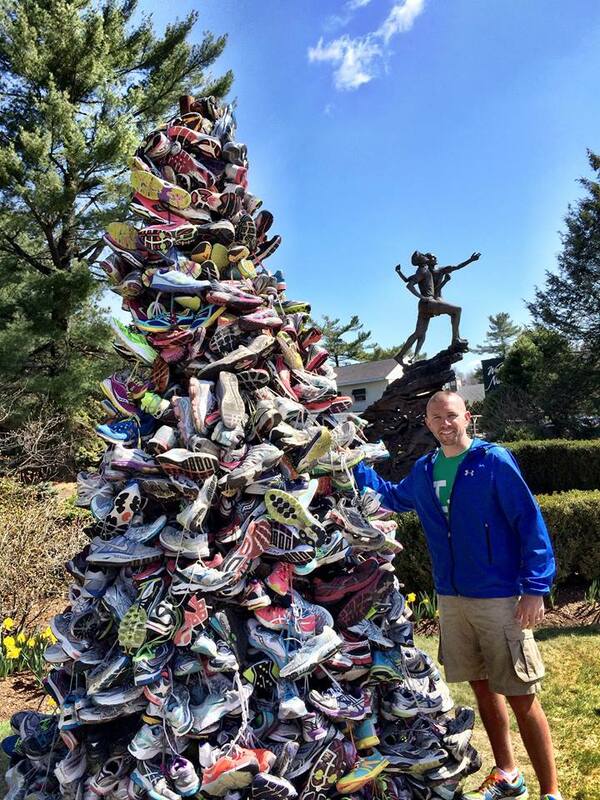 It was built with 388 pairs of running shoes sent from runners around the world who sent them to Kel. She arranged them into a tower shape next to the well-known “Spirit of the Marathon” statue. As a writer for the Huffington Post, she also wrote an eye-opening piece to raise awareness on the dangers to runners of drunk or distracted drivers. Seeing it through your eyes, Meg. That is where he wanted to be. Being where you knew that morning in January where you were going to be, as Scott wanted nothing more than to be by your side. Always. He wanted to feel you there again. He may have thought it may not be pretty, I’m sure I share the sentiment of many that thought it certainly was a beautiful thing. 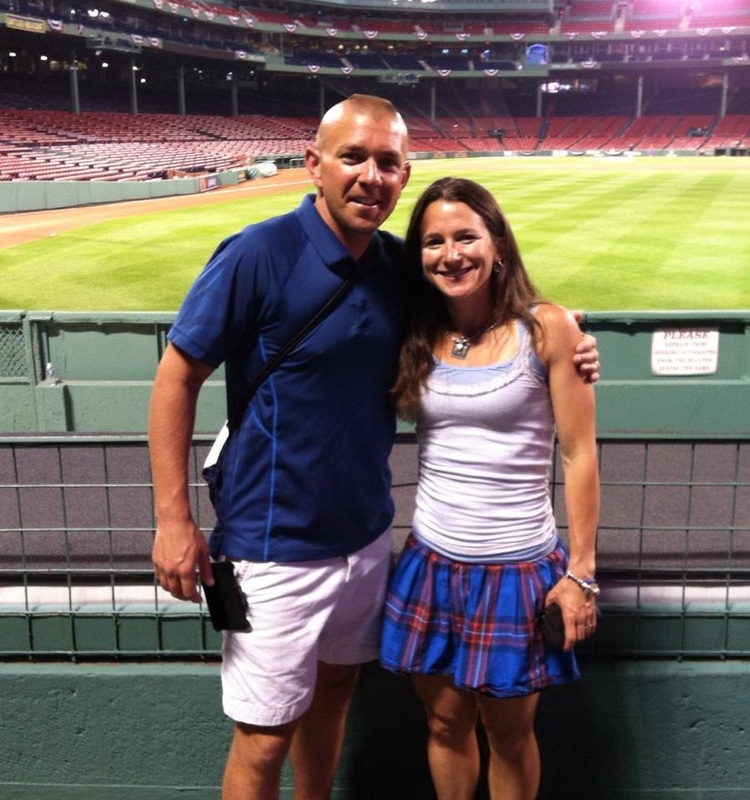 With Scott running ‪#‎bostonstrong‬ today and seeing through Meg’s eyes, thought would be good to run where this journey began. Ran as far and as long as I can remember (8 miles in little over an hour), before the sunset on the Hanover horizon. Started at Meg’s Marker and the roadside Memorial on Patrick Henry Rd. When I wrote yesterday my intention was to run to be strong for Scott as he ran for Meg. During the first mile or two it was Scott’s journey that manifested itself today in his amazing run that gave me strength. This day, wanted to see where this journey began through Scott and Meg’s eyes. 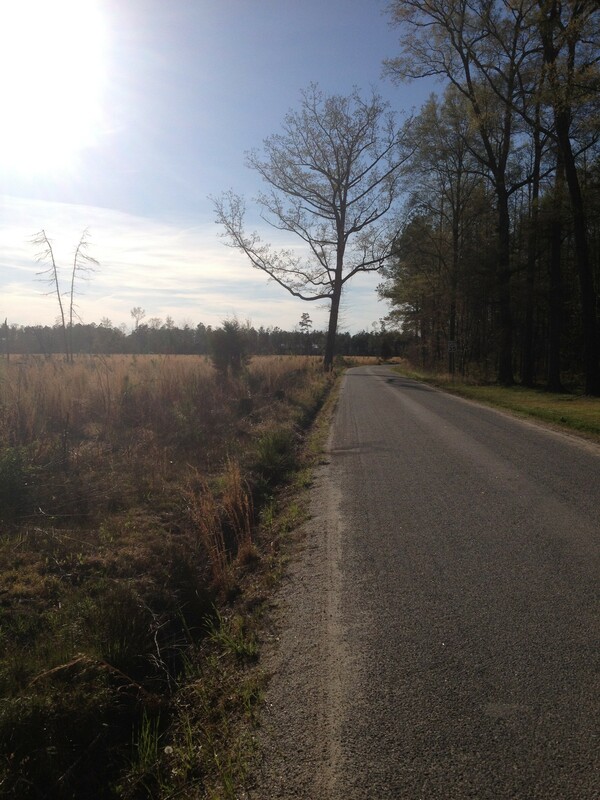 As I approached one of the scenic farm fields, I stopped, hands on my knees and wept on Hickory Hill. I could not hold it back. Thought about what Scott went through when he and Meg took that run that morning. Blindsiding storms can hit in life and the ensuing fog of a broken heart; it disorients and makes it hard to see the road ahead. As I stood back up, took a breath, then another, then a step, then another, then started running again. All my instincts, they returned. This happened a few times and got stronger as I kept going. Once I kept going, could run with more purpose. Wanted this run to be for Whitfield, Gabriel, and Skye too so I brought something with me for the run. It was given to me at Comfort Zone Camp at the end of a weekend by a little buddy in my group who had lost her Dad, a rock from the camp where thousands of other kids who have lost a parent and had walked upon over the years to get through the grief, heal, and grow. I ran with that rock for them. As we continue to running ‪#‎megsmiles‬ and beyond, after experiencing this day I thought about seeing things through others eyes. Experienced it firsthand today. And being complete in His eyes. Found something by Peter Gabriel that conveys about perfect love and being complete…in Your eyes. Godspeed Scott, and from one dad to another…thank you! God bless, God speed, and Run Strong for #megsmiles and beyond.